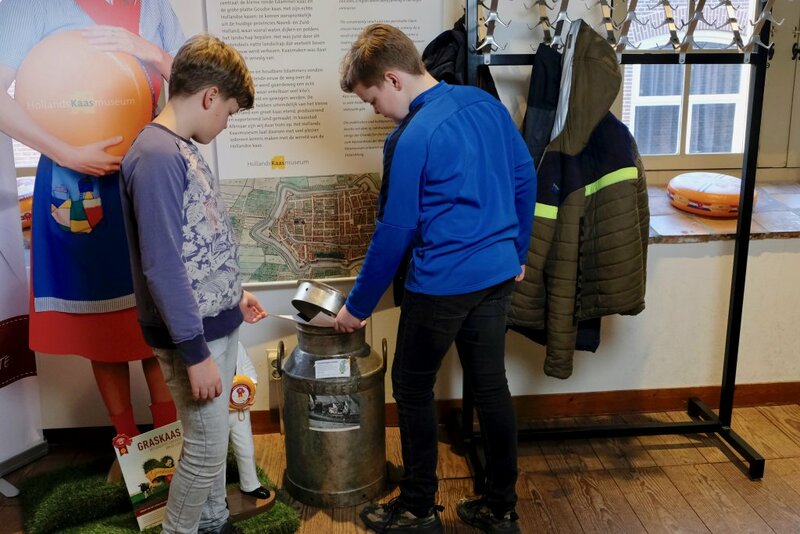 The Dutch Cheese Museum has an enjoyable interactive scavenger hunt where you will learn all the ins and outs about cheese. What precisely is the difference between a cheese cart [kaasbrik] and a cheese press [kaaspers]? And why is a rennet pot [stremselpot] also known as a Poepekan …? One thing is certain: by the time you’ve completed this scavenger hunt you will be able to call yourself a true cheese expert. The scavenger hunt is also available in English. What precisely is the connection between a cow and cheese? How is cheese actually made? And what is the difference between aged cheese and young cheese? 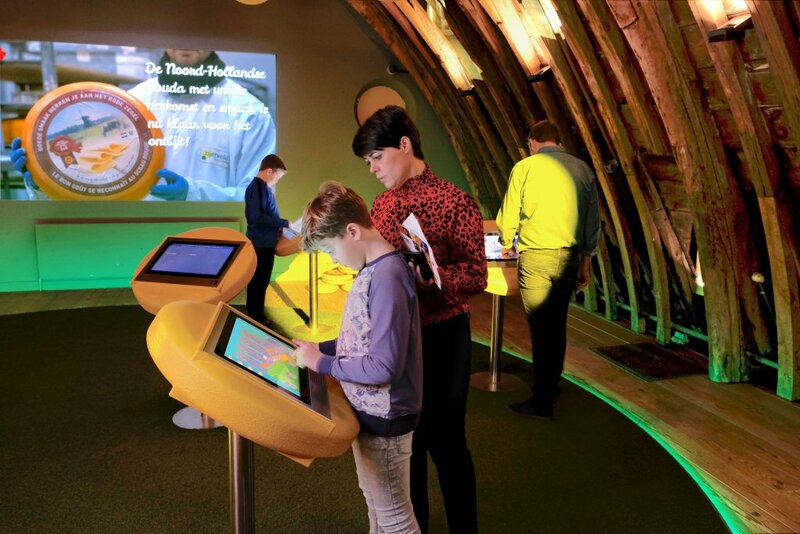 These are all questions children will find the answers to on the touchscreen displays scattered around the Dutch Cheese Museum. As they enjoy themselves in our museum, they will discover everything they want to know about cheese.